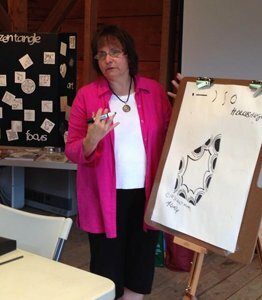 Woodlawn hosts nearly seventy programs (some free and some for fees) each year including a variety of workshops, a spring and fall lecture series, garden programs, and afternoon teas. Visit our calendar to see what’s happening next at Woodlawn. With topics ranging from gardens to antiques and from craft workshops to chocolate making, there is something for everyone. Our spring and fall lecture series showcases interesting historical perspectives and also topics of local interest. Visit our calendar to find out what’s happening next. 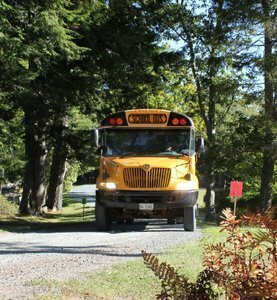 Woodlawn welcomes school tours and the opportunity to educate students about the rich heritage of the Downeast Region. As students tour the grounds and the 19th century house, and its original interiors, they can experience life in the 1800s while learning about the important role the Black family played in the development of Maine. Learn more about Woodlawn School Programs. The Institute offers teachers 20 hours of training in four sessions. 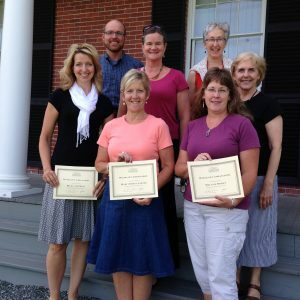 Learn more about Woodlawn Teachers Institute. Afternoon high tea is a guest favorite at Woodlawn and includes the audio tour of the Black House. Mrs. Irma Eliason, who along with her husband Axel, caretakers at Woodlawn from 1916 to her death in 1970, started this long standing tradition. 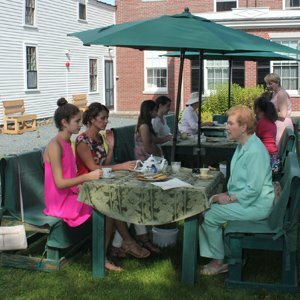 In the summer months, we offer Woodlawn’s own blend of delightful tea and an assortment of savory and sweet treats, several of which are historical recipes used by Mrs. Eliason, served on the tea lawn. During the month of December, we offer the afternoon high tea with Woodlawn’s special Holiday Tea, served in the beautifully decorated Black House. Visit our calendar for our Tea Time Tours schedule. 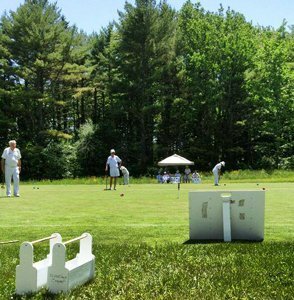 Woodlawn’s croquet court (85 feet by 105 feet) is Maine’s only tournament sized croquet court. 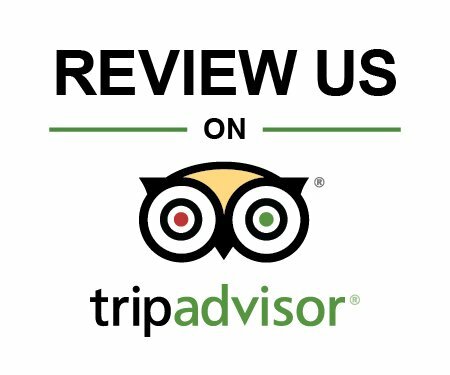 It is open for play from May until October. Although six-wicket croquet is the primary game played at Woodlawn, other games such as nine-wicket and golf croquet, are also played. A variety of other programs and instruction for both seasoned and new players are offered during the season. Regular play on the court is available to the public through a yearly fee or on a play per game basis. Fees include the equipment needed to play. United Sates Croquet Association Members are welcome. Tuesday afternoons through the summer and fall, weather permitting, the public is invited to learn the game of golf croquet. From 2 to 4 p.m., the Woodlawn Croquet players are on the court to offer instruction. $10 to play, equipment available if needed. Woodlawn Croquet Program – 2019 Participant Form (pdf).